Need some burgers for your grill? Perhaps a nice steak for supper? Our meat department has just what you need to satisfy your taste buds. We strive to bring you the best meat around. We use Chairman's Reserve USDA Choice meat, so you know you are getting fine quality meat. 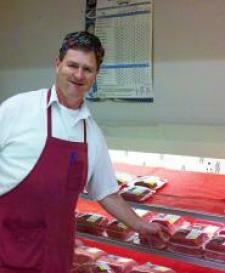 Chuck, the head of our meat department, has been with us for over 35 years. He treats his products with the care and respect that you would expect from someone with so much experience. If you want your ham sliced or perhaps need to order a special cut of meat, he is your guy to go to.